8 Accommodation for operating personnel. – Catenary shape due to heavy weight. – Taut shape due to substantial less weight than steel ropes. 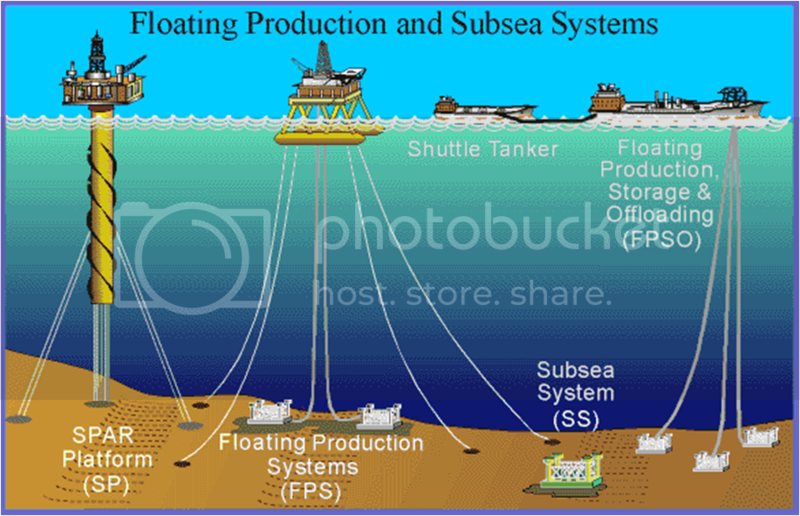 – Pipes used for production, drilling, and export of Oil and Gas from Seabed. 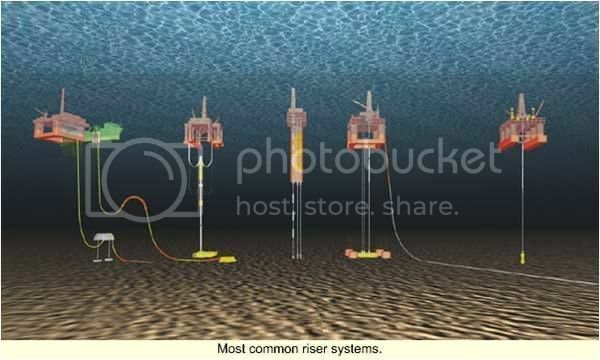 – Riser system is a key component for offshore drilling or floating production projects. – The cost and technical challenges of the riser system increase significantly with water depth. Semoga dengan sedikit maklumat yang diberikan didalam 3 bahagian entri berkaitan platform yang telah disiarkan memberi cukup kefahaman kepada pembaca berkaitan pelantar minyak dan bahagian-bahagiannya. 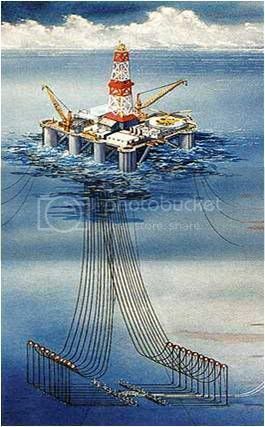 – Tension Leg Platforms (TLPs) are floating facilities that are tied down to the seabed by vertical steel tubes called tethers. – This characteristic makes the structure very rigid in the vertical direction and very flexible in the horizontal plane. 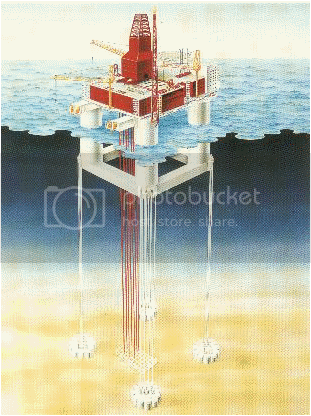 The vertical rigidity helps to tie in wells for production, while, the horizontal compliance makes the platform insensitive to the primary effect of waves. – Have large columns and Pontoons and a fairly deep draught. – TLP has excess buoyancy which keeps tethers in tension. Topside facilities , no. of risers etc. have to fixed at pre-design stage. – It has no integral storage. – It is sensitive to topside load/draught variations as tether tensions are affected. – Due to small water plane area , they are weight sensitive. Flood warning systems are required to be in-place. 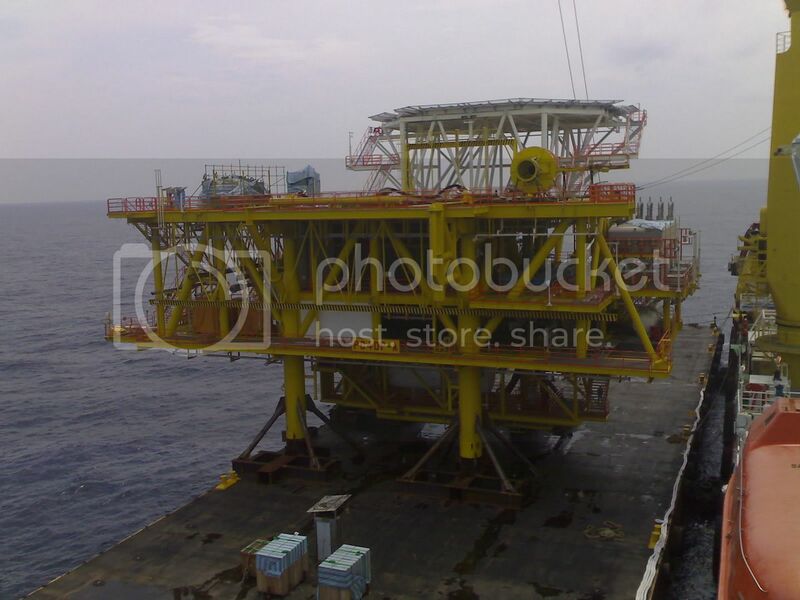 – Topside facilities , no. of risers etc. have to fixed at pre-design stage. – Used for Ultra deep water. – Semi-submersibles are held in place by anchors connected to a catenary mooring system. – Column pontoon junctions and bracing attract large loads. – Concept of a large diameter single vertical cylinder supporting deck. 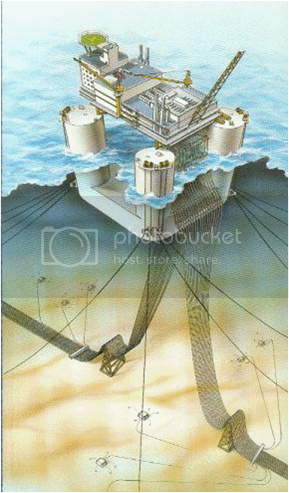 – These are a very new and emerging concept: the first spar platform, Neptune, was installed off the USA coast in 1997. 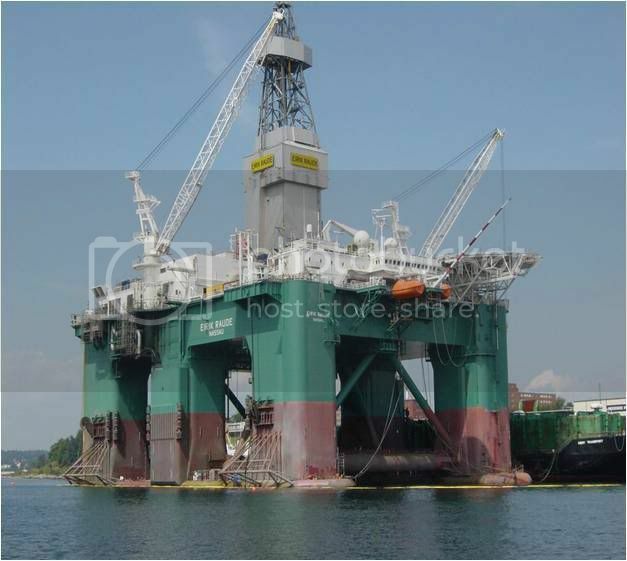 – Spar platforms have taut catenary moorings and deep draught, hence heave natural period is about 30 seconds. – Used for Ultra deep water depth of 2300 M.
– The center of buoyancy is considerably above center of gravity , making Spar quite stable. – Due to space restrictions in the core, number of risers has to be predetermined. 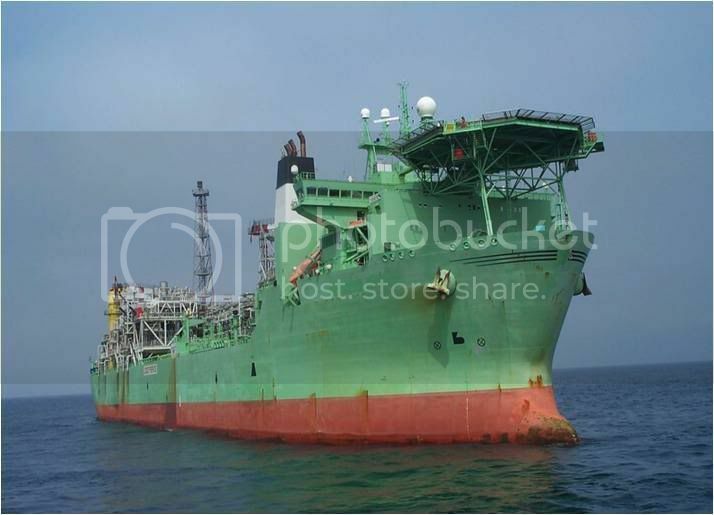 – Ship-shape platforms are called Floating Production, Storage and Offloading (FPSO) facilities. – FPSOs have integral oil storage capability inside their hull. 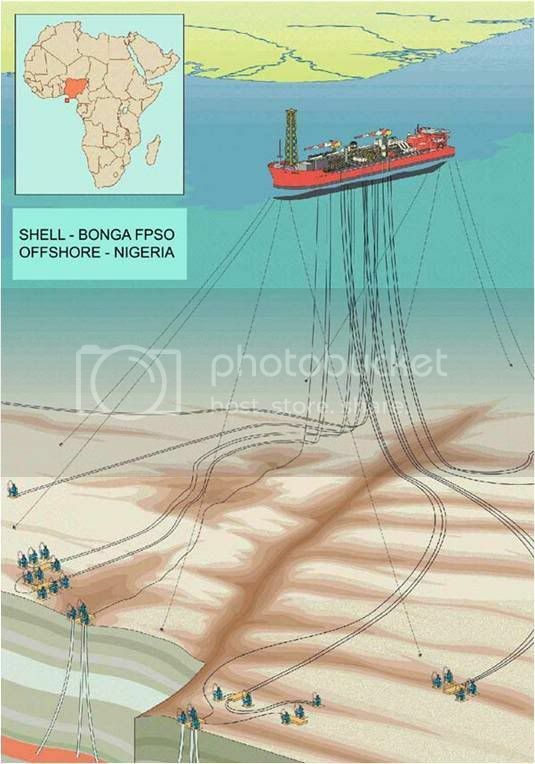 This avoids a long and expensive pipeline to shore. – FPSOs are held in position over the reservoir at a Single Point Mooring (SPM). The vessel is able to weathervane around the mooring point so that it always faces into the prevailing weather. 31 A STORY ABOUT PLATFORM…. Kali ni aku nak cerita sikit tentang Platform,izinkan aku tulis dalam bahasa Inggeris (sebenarnya copy & Paste je)nak translate ke BM malas pulak rasanya….idea dry…. Platform size depends on facilities to be installed on top side eg. 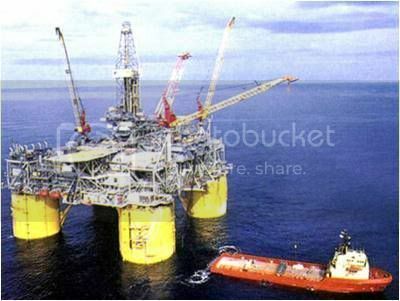 Oil rig, living quarters, Helipad etc. US Mineral Management Service (MMS) classifies water depths greater than 1,300 ft as deepwater, and greater than 5,000 ft as ultra-deepwater. 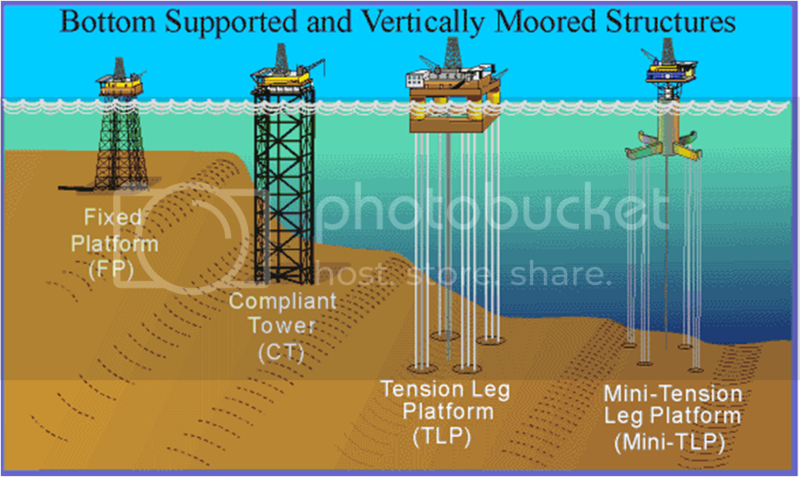 Fixed structures that extend to the Seabed. 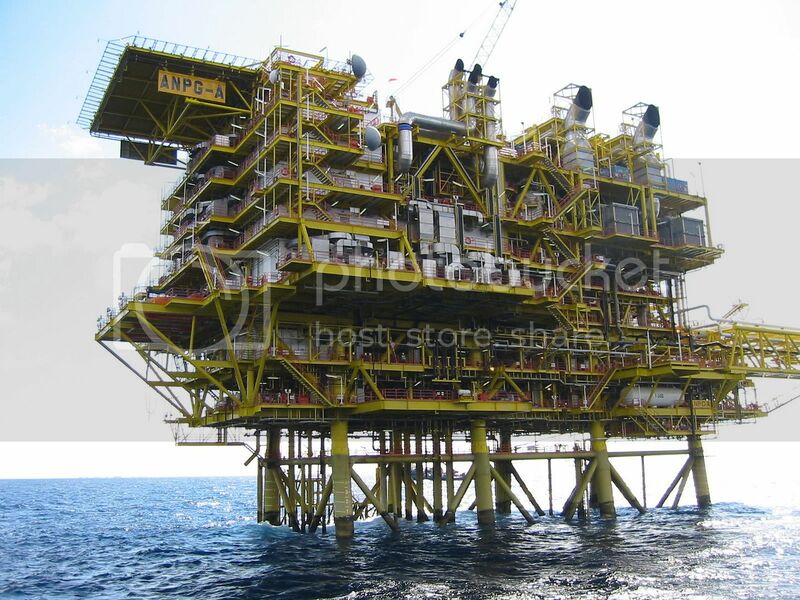 - Space framed structure with tubular members supported on piled foundations. - Used for moderate water depths up to 400 M.
- Jackets provides protective layer around the pipes. 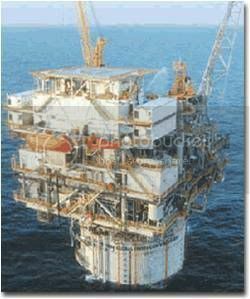 - Typical offshore structure will have a deck structure containing a Main Deck, a Cellar Deck, and a Helideck. 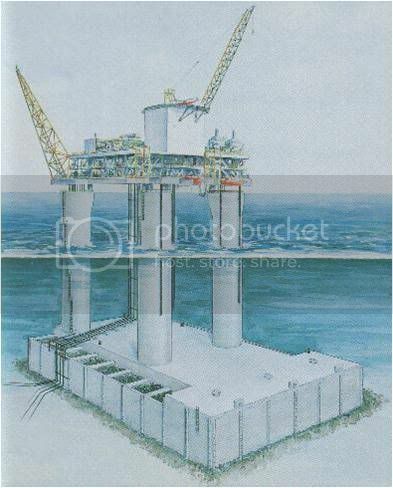 – The deck structure is supported by deck legs connected to the top of the piles. 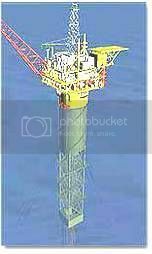 The piles extend from above the Mean Low Water through the seabed and into the soil. 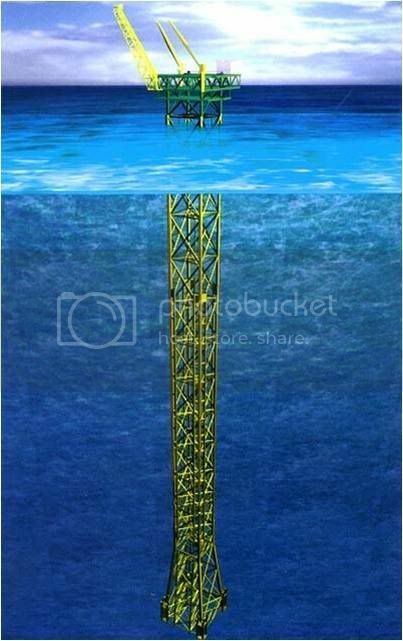 – Underwater, the piles are contained inside the legs of a “jacket” structure which serves as bracing for the piles against lateral loads. 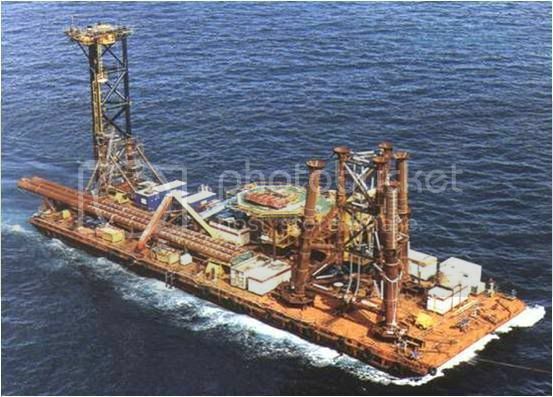 – The jacket also serves as a template for the initial driving of the piles. (The piles are driven through the inside of the legs of the jacket structure). – Natural period (usually 2.5 second) is kept below wave period (14 to 20 seconds) to avoid amplification of wave loads. 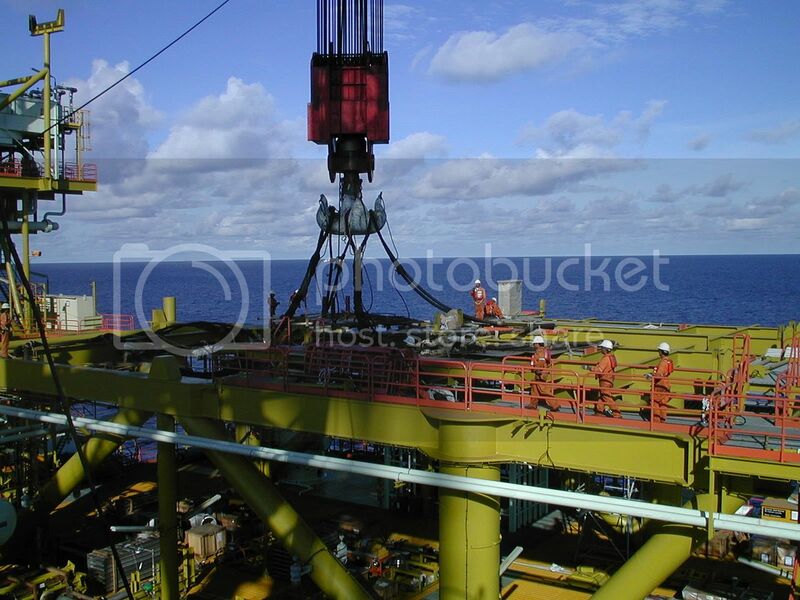 – 95% of offshore platforms around the world are Jacket supported. – Narrow, flexible framed structures supported by piled foundations. 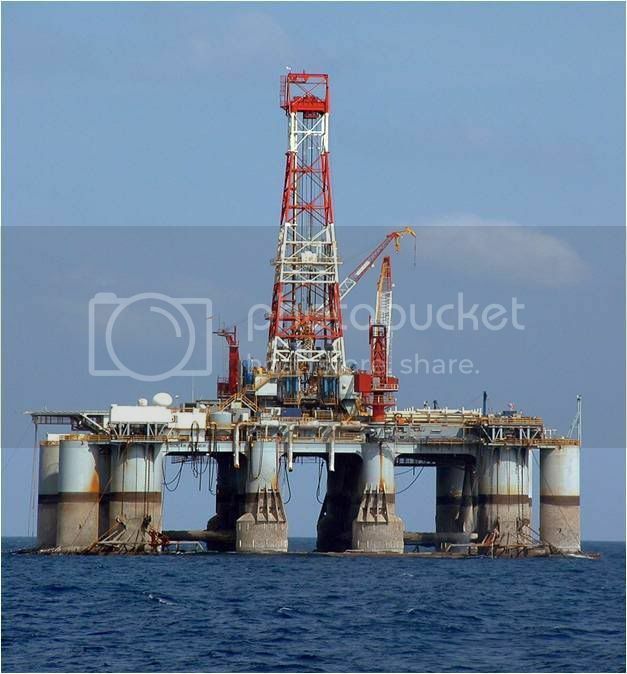 – Has no oil storage capacity. Production is through tensioned rigid risers and export by flexible or catenary steel pipe. – Undergo large lateral deflections (up to 10 ft) under wave loading. Used for moderate water depths up to 600 M.
– Natural period (usually 30 second) is kept above wave period (14 to 20 seconds) to avoid amplification of wave loads. 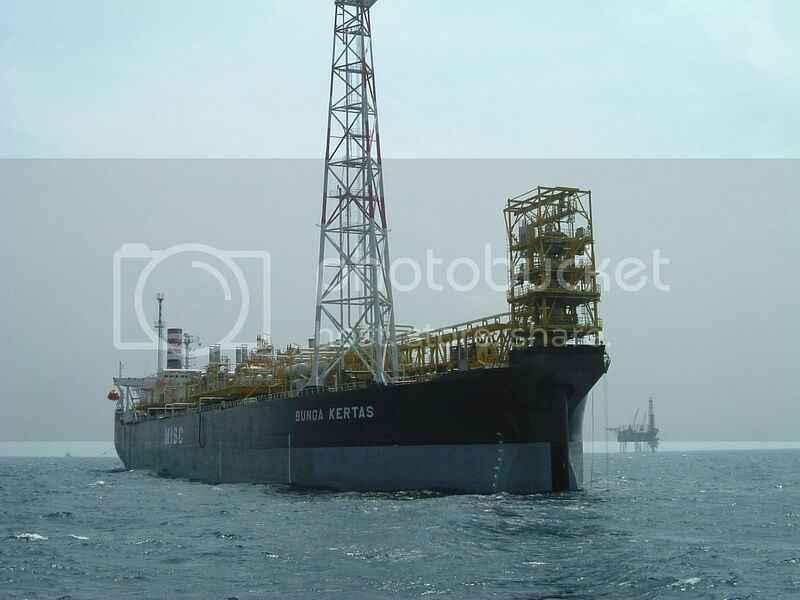 – Used for moderate water depths up to 300 M.
– Part construction is made in a dry dock adjacent to the sea. 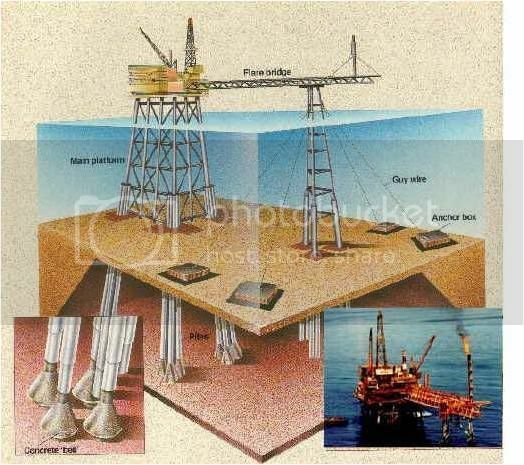 The structure is built from bottom up, like onshore structure. – At a certain point , dock is flooded and the partially built structure floats. 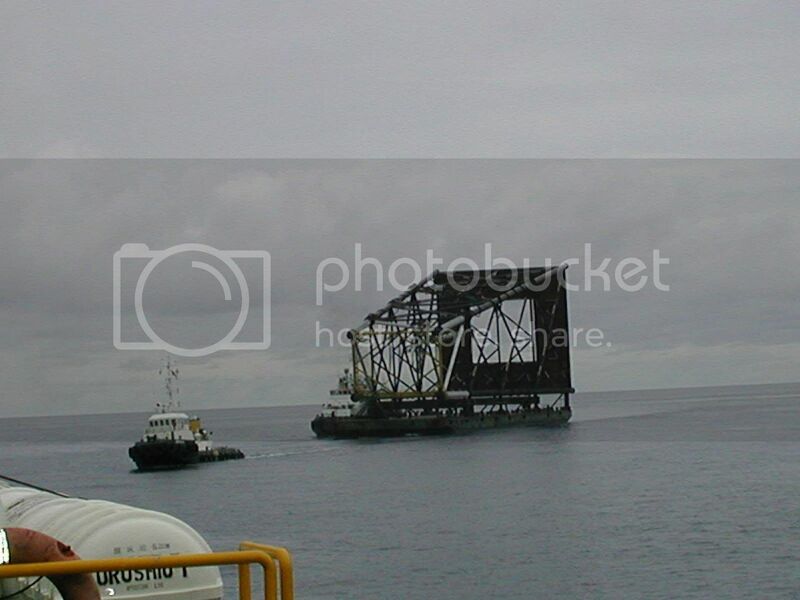 It is towed to deeper sheltered water where remaining construction is completed. – After towing to field, base is filled with water to sink it on the seabed. 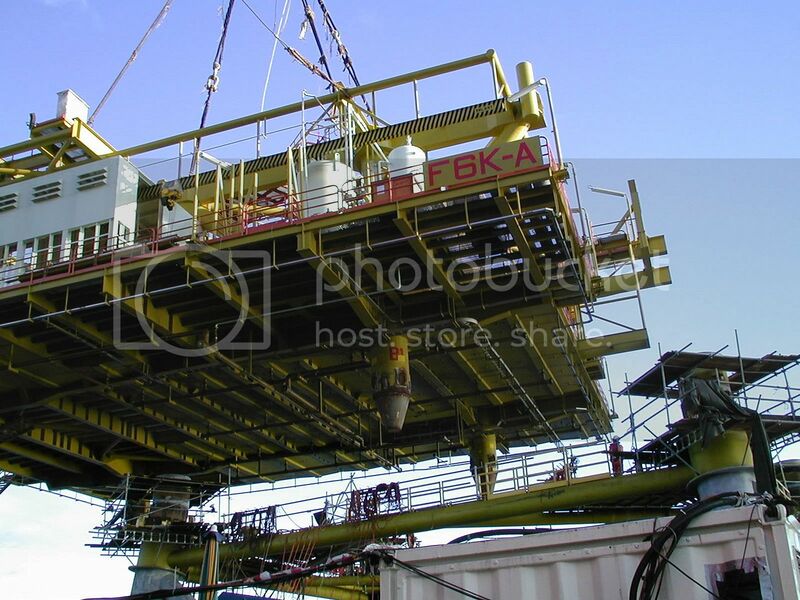 - Smaller jackets can be installed by lifting them off barge using a floating vessel with cranes. – The loads generated by environmental conditions plus by onboard equipment must be resisted by the piles at the seabed and below. 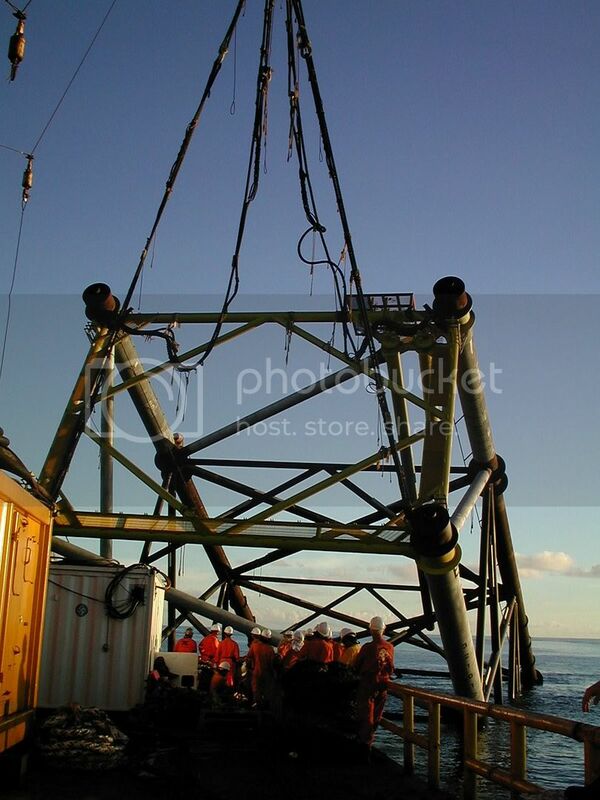 – The soil investigation is vital to the design of any offshore structure. Geotech report is developed by doing soil borings at the desired location, and performing in-situ and laboratory tests. – Pile penetrations depends on platform size and loads, and soil characteristics, but normally range from 30 meters to about 100 meters.